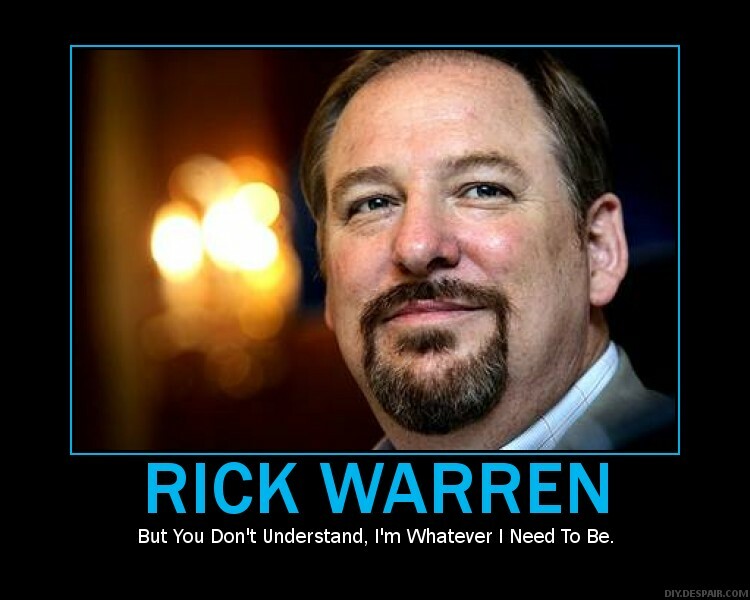 At root I think [Rick Warren] is theological and doctrinal and sound. 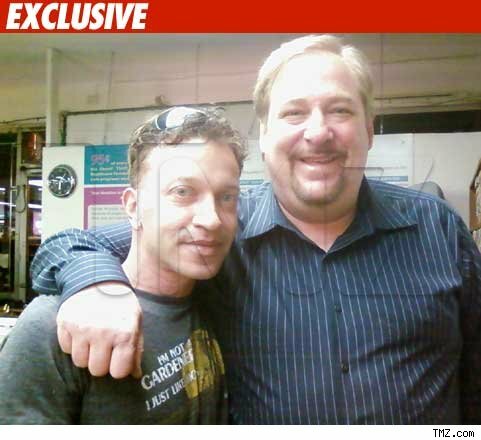 But Rick Warren is not at all in line with biblical Christianity, nor with Reformation theology, concerning the Roman Catholic Church, which should be a major concern to those in the Reformed camp ala Steve Camp and Dr. Piper. In fact, fellow DG 2010 speaker Dr. R.C. Sproul is on record as saying the Church of Rome placed its anathema upon the Gospel of Jesus Christ itself; and is, therefore, apostate. The Protestant Reformers e.g. Martin Luther and John Calvin also recognized this and denounced the Roman Catholic Church as being led by one in the chair of the Antichrist. Warren is part of the ultra-conservative Southern Baptist Convention, and all his senior staff sign on to the SBC’s doctrines, such as the literal and infallible Bible and exclusion of women as senior pastors. Yet Warren’s pastor-training programs welcome Catholics, Methodists, Mormons, Jews and ordained women. The enthusiasm for “The Purpose-Driven Life” can be found in mainline denominations and evangelical churches, in cities and suburbs. It also reaches across ethnic and cultural barriers. In the Chicago area, more than 200 churches are participating in “40 Days of Purpose” (some used it as a Lenten series). Pastor Warren tailors his appeals to his audience. To Calvinists, he stresses his support for the “solas” of the Reformation. Yet he tells prosperity evangelist David Yonggi Cho, “I’ve read your books on Vision and Dreams – speak to pastors about how you hear the voice of the Holy Spirit?…What advice would you give to a brand new minister?…Do you think American churches should be more open to the prayer for miracles?” (“Breakfast With David Yonggi Cho And Rick Warren,” Pastors.com). And then there’s pastor Bob DeWaay, author of Redefining Christianity: Understanding the Purpose Driven Life Movement, the best refutation of Rick Warren’s synergistic people-pleasing pragmatism I’ve seen. In addition to Twin City Fellowship DeWaay heads the excellent Critical Issues Commentary work; he is also not a “discernment ministry” , and he has personally met with Rick Warren. On a recent Crosstalk program, hosted by Ingrid Schlueter, DeWaay spoke about what he calls the “file cabinet orthodoxy” of Rick Warren. For the detractors of online apologetics and discernment ministry it’s important for them to include the quotation marks; because those of us in the “ODM world,” quite obviously, could never be as “erudite” and “astute” as they are.